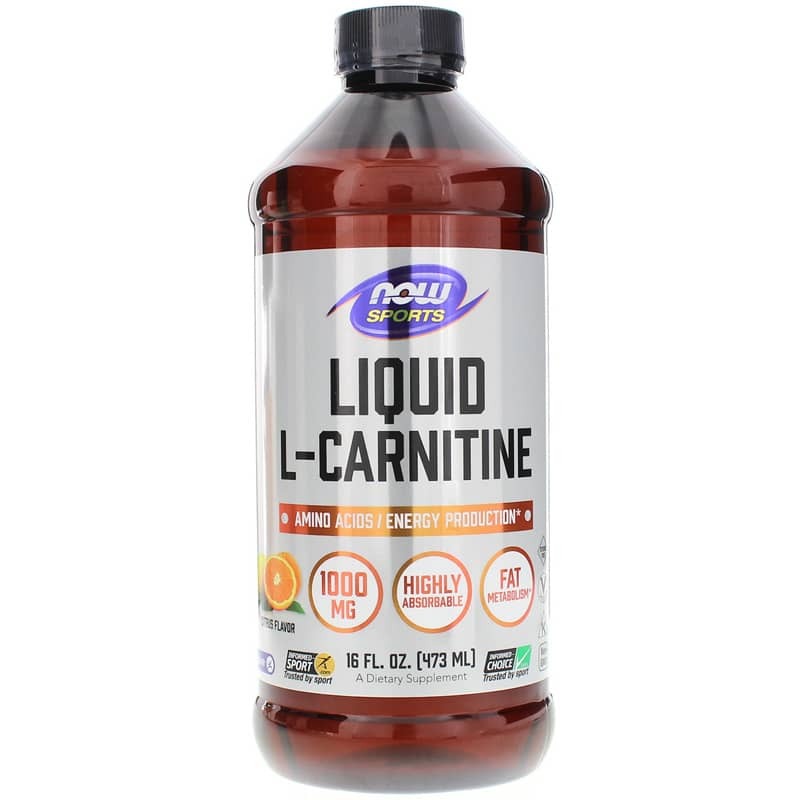 Absorption is key and L-Carnitine Liquid from Now Foods provides the extensive benefits of Carnitine in a highly absorbable, vegan, Non-GMO, kosher, liquid form. Each serving of Pharmaceutical Grade L-Carnitine Liquid delivers 1000mg of the highest potency L-Carnitine available today. Carnitine is a non-essential amino acid that helps to maintain overall good health by facilitating the transfer of fatty acid groups into the mitochondrial membranes for cellular energy production. This process provides muscular energy by burning fat, and also prevents fatty build-up around vital organs. Muscle cells that use the most energy, particularly the heart, can benefit by having adequate carnitine levels. Natural Carnitine is found primarily in red meat, so vegetarians may need to supplement to ensure healthy levels in their bodies and others can supplement to obtain optimal levels of this excellent amino acid. 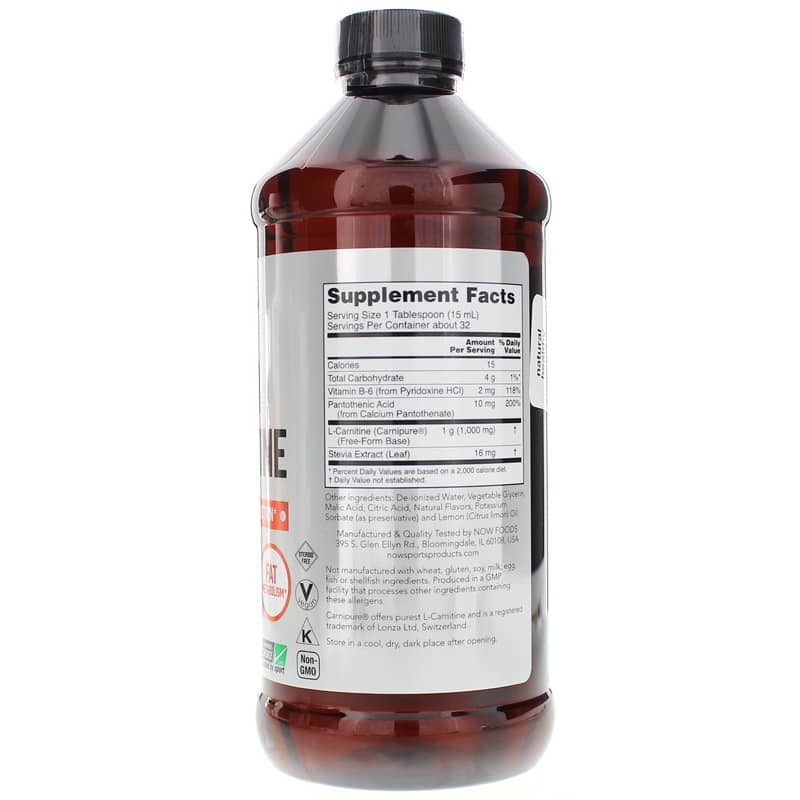 Carnitine from Now Foods is natural form product, synthesized in a laboratory by bacterial cultures, and is vegetarian due to the absence of any animal sources or by-products. NOW Foods carnitine products are in the same form found in nature, L-Carnitine, with no detectable levels of synthetic D-Carnitine. 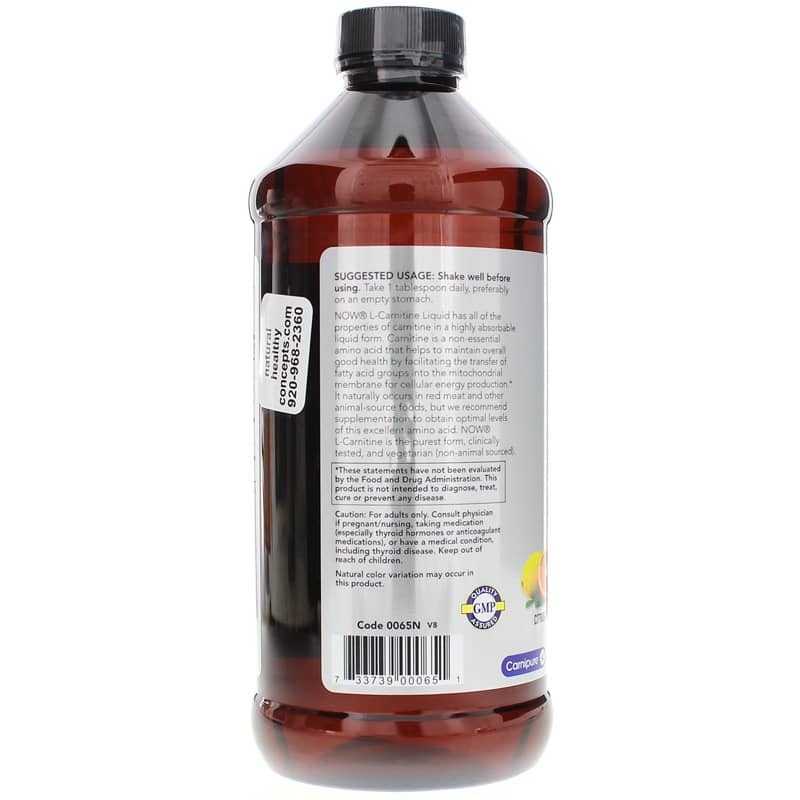 Other Ingredients: deionzed water, vegetable glycerin, malic acid, citric acid, natural flavors, potassium sorbate (as preservative), lemon (citrus limon) oil. Not manufactured with: wheat, gluten, soy, milk, egg, fish, or shellfish nut ingredients. Produced in a GMP facility that processes other ingredients containing these allergens. Vegan, Kosher, Non-GMO. Steroid-free. Adults: Shake well before using. Take one tablespoon two times daily, preferably on an empty stomach. For adults only. Consult physician if pregnant, nursing, taking medications (especially thyroid hormones or anticoagulant medications), or have a medical condition (including thyroid disease). Keep out of the reach of children.